Let’s face it, we’ve become pretty used to using emojis to express our innermost thoughts. So today is our lucky day! There are 69 new emojis being considered for release in June, and the potential emojis feature a breastfeeding woman, a mermaid, and UFOs (to name just three!). If you thought it couldn’t get any better than a mermaid (yup we are obsessed), there’s a girl and boy rock climbing, a brain, a pretzel, and SO MANY MORE! Like a vomiting face emoji, zombie, vampire, and elf (because yes, we all need those in our lives and we are 100% serious). Not all of these contenders will make it to the final round, but here they are for your viewing pleasure. Word on the street is that once the final emojis are approved in the spring, they’ll likely be available this fall. 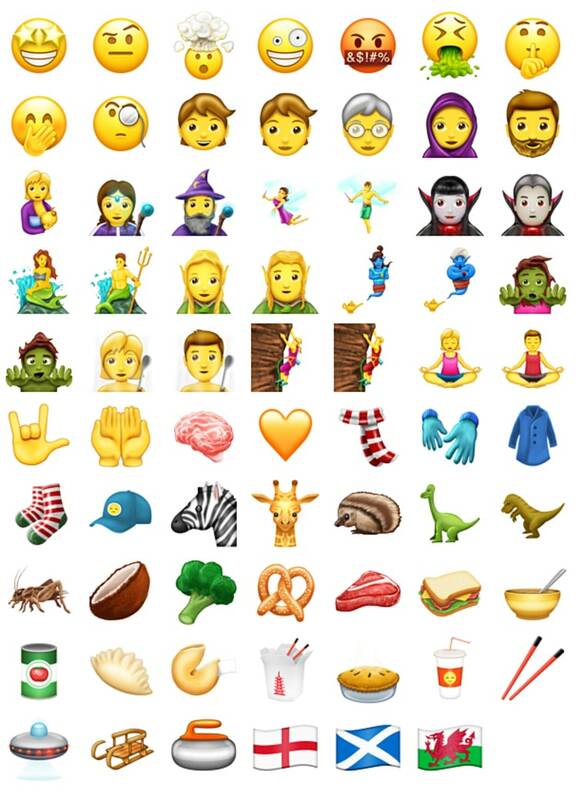 Note that the expected redhead emojis are mysteriously not there…what’s up with that? If you visit emojirequest.com, you can see some of the most wanted ones (AKA shushing emoji!) and others that have been requested by users, like a superhero emoji. We know the competition is fierce, but we’re hoping that the sandwich emoji makes the cut, because that seems like something we’d use regularly (okay FINE, anything food-related gets our vote. Even that head of broccoli). The meditating ones are pretty cool, too. Yeah, the spoons are weird! Not sure what’s up with them. Are they glad that it’s time to eat? Are they using the spoon as a microphone? And why are they naked? SOMEONE HELP! And we’re voting with all fingers and toes for the breastfeeding mom. That’s a no-brainer.